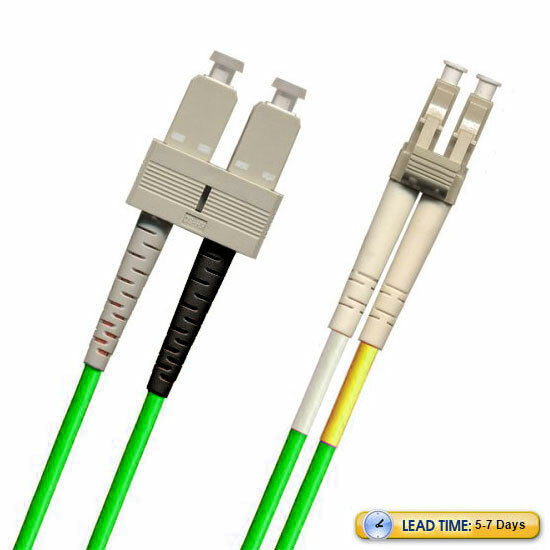 The LightWave SC-LC Multimode OM1 Fiber Optic Patch Cable is a viable high performance, low transmission loss and low cost solution. Take advantage of the affordability and accuracy of the SC connector on one end, and the LC connector's track record of stability in a multimode capacity to handle all your needs. 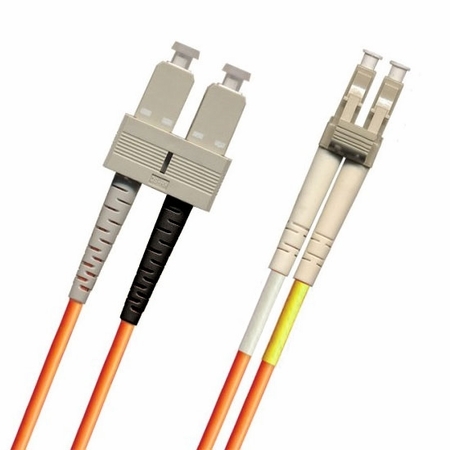 This SC-LC fiber optic cable comes in a duplex-configuration, and will enable you to send data over a 62.5/125 micron glass fiber 1Gbps link a distance of up to 300 meters at a wavelength of 850nm or a distance of up to 550 meters at a wavelength of 1300nm. For a 10Gbps link, you can transfer data a distance of up to 33 meters at an 850nm wavelength. 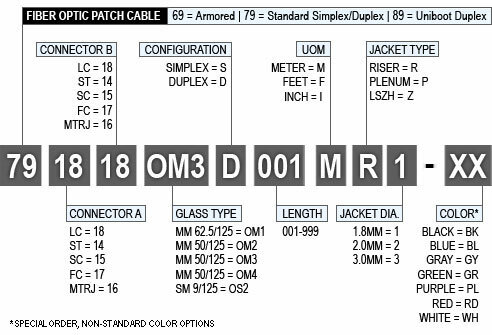 All LightWave brand fiber optic patch cables are assembled to meet and exceed industry performance standards. Each product is individually tested to make sure you receive the highest possible quality, and the results of each test are included with the product.